Find a penny. Pick it up. 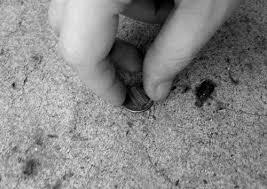 My mother was always the best at finding pennies on the sidewalk … or in the parking lot of the post office or the playground at the elementary school. Once she even found an old Indian head penny as we strolled down the gravel road that snaked behind our rural home. Another time she found a peso from Mexico even through we were hundreds of miles from the border at the time. My mother was always the best at finding pennies on the sidewalk … and under sofa cushions, behind furniture, and even in the washing machine. My siblings and I soon learned to empty our pockets before we threw our clothing into the laundry basket. Once my mother found an extremely old coin stuck between the floorboards of a century-old home. It wasn’t just coins. My mother seemed to notice other interesting objects … a rock with a fossil imbedded on one side, an empty bird’s nest fallen to the ground, the casing of a locust clinging to a tree limb, the first leaf to change color in the autumn. My mother is a woman of deep faith. Her trust in Christ has remained certain, strong and true all of her life. Never wavering. Never failing. At my mother’s side, I learned scripture, verse by verse by verse … words to cling to when days where dark, words to bring joy when tears fell, words to give hope when all seemed lost. As I grew into adulthood, I discovered these words bring to my life a fullness which I could find no where else. At my mother’s side, I learned how to pray … a connection to my Heavenly Father, a constant source of wisdom, a never-ending source of strength. Conversations of gratitude to begin and end my day, as well as regular moments of seeking heavenly discernment. At my mother’s side, I learned firsthand the characteristics and values of Christ … joy, love, kindness, gentleness, peace, and self-control among others. And thought I’m still learning exactly how to apply this attributes to my life, my mother was my first and best example of how to live a Christ-like life. 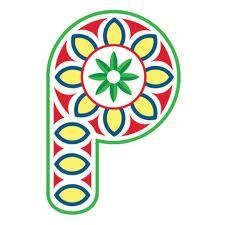 P is for the penny … and for it’s reminder of my mother who taught me the most important truth of all. What a great legacy your mom left you…Iove this! God blessed with me with amazing parents. I hope I can do half as good with my children as they did raising me!